Happy Wednesday everyone! Today, I will be sharing a very simple but delicious recipe- Pita Bread and Hummus. This is great for a snack or just something to munch on. You can make the hummus as zesty or spicy as you want! Let’s get started! Cut two tortillas into small pizza slices so they are small triangles. Place evenly on a baking sheet and place in oven at 400 degrees F for about 30 minutes then broil on high for 5 minutes. While the pita bread is baking, wash and dry the chick peas. Add as much lemon juice, ground cayenne pepper, and salt as you want. Add about 1/4 cup of water and a splash of olive oil. Turn on the food processor and let it run until it becomes hummus texture. You can add whatever you like in the hummus as the flavor is totally up to you! This is a perfect recipe if you’re craving pita bread and hummus but what to know exactly what is in it. It’s a much healthy alternative than store bought hummus. 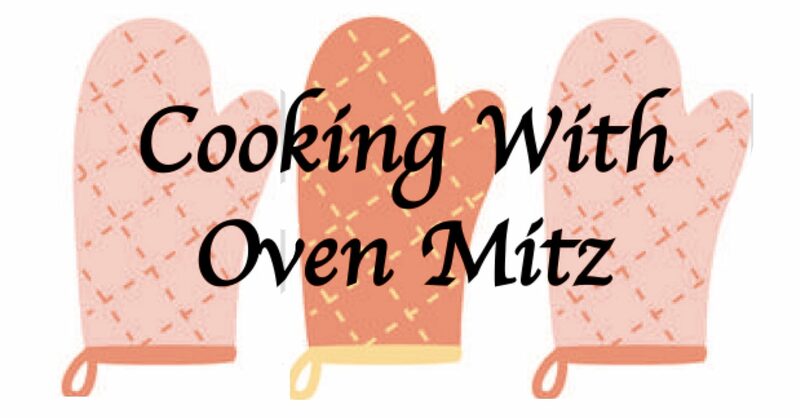 I wanted to reiterate that this is not a professional cooking blog. My picture quality will not be 100% as I am using an iPhone. My plating will not be pretty all the time because I am only going to be using the utensils and kitchenware I have. The purpose of this blog is to share my love for cooking and to help you learn how to create basic recipes with ingredients you already have or want to substitute. For the most part, I will not be writing exact measurements unless I am baking, because everyone’s taste pallet is different. However, at the end of each recipe I will be suggesting other substitutions that can be used and any tips and tricks I think will be handy. So adjust accordingly to whatever you like. Cooking is not meant to be hard or tedious. I want it to be fun for all of my readers! I am so excited to share my first recipe: Caribbean Jerk/Teriyaki Baked Tofu with Ginger Brown Rice. This recipe is super easy and extremely flavorful if you want to have a midweek meal with an extra kick. The mixed vegetables and tofu provide a ton of protein and flavor that pairs well with the ginger flavored brown rice. Drain your tofu and get a lot of paper towels. You want to first absorb all of the extra water from the tofu. Then, get extra paper towels and generously wrap the tofu and set aside. Fill a pot with water and bring to a boil by setting the stove to medium-high or high. Once it comes to a boil, add your brown rice, vegetable broth, and ginger paste. Turn heat to medium and stir occasionally. Let the brown rice cook for about 30 minutes or until there is a minimal amount of water/broth left. Try keeping some broth leftover in the pot. While the tofu is still set aside and now your brown rice is cooking, go ahead and cut your broccoli. Place in a bowl and warm in microwave for about 1 min or 5 min if the broccoli is frozen. Then set aside to cool. Cut the shiitake mushrooms, green bell pepper, and chop the garlic and add it to the bowl of broccoli. Add a little bit of olive oil, just enough to lightly coat the broccoli, green bell pepper, and mushrooms. Add just enough caribbean jerk sauce and teriyaki marinade to light coat almost half of the broccoli and mushrooms and toss to evenly coat as much as you can. Add a few drops of soy sauce and toss. Spray a baking sheet with cooking spray and evenly place the broccoli, green bell pepper, and mushrooms on the tray. At this time, preheat your oven to 400 degrees Fahrenheit. Slowly uncover the tofu and squeeze out any excess water. Cut your tofu into bite sized squares and place in a bowl. Add a little bit of olive oil to lightly coat tofu. Add more caribbean jerk sauce and teriyaki marinade to evenly coat them. Spray another baking sheet with cooking spray and evenly place the tofu squares on the tray. Place both baking trays in the oven at 400 degrees Fahrenheit for 35 minutes. Broil on high for an additional 5 minutes. Broiling will add extra crispness and color to the mixed vegetables and tofu. Once the vegetables and tofu are done baking, transfer both to a large skillet that has been sprayed with cooking spray. Keep on medium heat and toss and mix while adding more caribbean jerk sauce and teriyaki sauce. At this point, the rice should be done cooking. Pour any remaining water/broth from the rice pot and add it to the skillet with the mixed vegetables and tofu. Make sure to keep the rice in the pot. Adding leftover broth/water should dilute the thickness of the sauces and add more flavor. Cook the mixed vegetables and tofu for an additional 10 min on the stove making sure to stir occasionally. I usually buy a block of tofu, but precut tofu was the same price so I decided to try it. For me, it was pre cut too small and got even smaller once they were baked. I suggest cutting in bigger pieces since they will shrink in the oven. The tofu can be cooked on the stove top in a large skillet, however for me, it doesn’t get as crispy and seems difficult to flip each one as the skillet gets overcrowded. If you don’t like tofu, use another protein! Use chicken! I suggest cooking it on the stove top instead of letting it bake in the oven. I always have a Costco size bag of frozen broccoli on hand, so all I had to do was defrost them in the microwave for 5 minutes. This saves time on cutting them. My mushrooms were already pre cut as well. If you don’t like broccoli or mushrooms, use something else! Or even add to the broccoli and mushrooms (carrots, asparagus, etc). I only had these vegetables on hand, so that’s all I could use. I decided not to add onion because there was already so much flavor. I had ginger paste, leftover caribbean jerk sauce from BWW, a bottle of teriyaki marinade, and vegetable bouillon cubes on hand. Using ginger paste and vegetable broth definitely added a lot of flavor to my brown rice. Of course, you can use chicken or beef broth, skip the ginger, and add other seasoning and sauces/marinade. I just had these on hand so I thought it would be a great idea to include them in this meal. I hope everyone can try this recipe this weekend! Use whatever you have on hand and definitely don’t be afraid to switch things up and make substitutions! This recipe is all about the favor and very protein heavy. I know I am already planning on making a general tso type of sauce for next time. Tag me on Instagram, @cookingwithovenmitz, if you do make it. I would love to see your version of it. Click follow and like to keep updated on new recipes!